"Effects of Compositional Tailoring on Drug Delivery Behaviours of Si" by Wenfei Huang, Chi Pong Tsui et al. Conventional core-shell polymer nanoparticles usually exhibit a rapid release rate with their release kinetics mainly adjusted through changing composition of the polymer shells, limiting their applications for prolonged drug delivery. 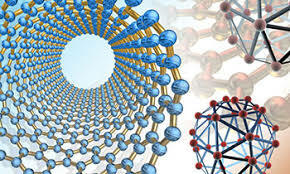 As a solution to these problems, silica xerogel/polymer core-shellstructured composite nanoparticles have been proposed. Different with our previous work centring on studying process variables, we here focused on investigating the effects of key compositional variables on essential properties of the composite nanoparticles. The drug release profiles (in vitro) were well interpreted by the Baker and Lonsdale model on a predicted two-stage basis. The first stage (<1 day) was well controlled from 18.6% to 45.9%; the second stage (1–14 days) was tailored in a range from 28.7 to 58.2% by changing the composition of the silica xerogel cores and polymeric shells. A substantial achievement was reducing the release rate by more than 40 times compared with that of conventional polymer nanoparticles by virtue of the silica xerogel cores. A semi-empirical model was also established in the first attempt to describe the effects of polymer concentration and drug loading capacity on the size of the composite nanoparticles. All these results indicated that the composite nanoparticles are promising candidates for prolonged drug delivery applications.